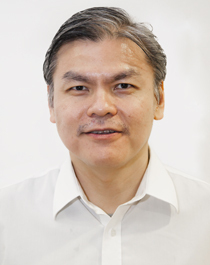 Adjunct Associate Professor Tan Ru San is a Senior Consultant with the Department of Cardiology at the National Heart Centre Singapore. He is also Deputy Academic Vice Chair of Research in the Cardiovascular Sciences Academic Clinical Programme. He leads a team of scientists and engineers that focuses research on cardiac mechanics, engineering and physiology using advanced computational models, including computational fluid dynamics, finite element analyses. Adj Assoc Prof Tan is also experienced in clinical trials and has been a member on the steering committees of several multinational landmark clinical trials. Advanced analyses of computed tomography coronary angiography can help discriminate ischemic lesions. Zhang JM, Shuang D, Baskaran L, Wu W, Teo SK, et al. Int J Cardiol. 2018 Apr 20;PubMed PMID: 29685695. Application of stacked convolutional and long short-term memory network for accurate identification of CAD ECG signals. Tan JH, Hagiwara Y, Pang W, Lim I, Oh SL, et al. Comput Biol Med. 2018 Mar 1;94:19-26. PubMed PMID: 29358103. Cardiac magnetic resonance T1 and extracellular volume mapping with motion correction and co-registration based on fast elastic image registration. Zhang S, Le TT, Kabus S, Su B, Hausenloy DJ, et al. MAGMA. 2018 Feb;31(1):115-129. PubMed PMID: 29270904; PubMed Central PMCID: PMC5813095. Imaging 4D morphology and dynamics of mitral annulus in humans using cardiac cine MR feature tracking. Leng S, Zhang S, Jiang M, Zhao X, Wu R, et al. Sci Rep. 2018 Jan 8;8(1):81. PubMed PMID: 29311562; PubMed Central PMCID: PMC5758818. Metabolomic profile of arterial stiffness in aged adults. Koh AS, Gao F, Liu J, Fridianto KT, Ching J, et al. Diab Vasc Dis Res. 2018 Jan;15(1):74-80. PubMed PMID: 28976207. Analysis of three-dimensional endocardial and epicardial strains from cardiac magnetic resonance in healthy subjects and patients with hypertrophic cardiomyopathy. Zhao X, Tan RS, Tang HC, Leng S, Zhang JM, et al. Med Biol Eng Comput. 2018 Jan;56(1):159-172. PubMed PMID: 28674779. Left Ventricular Wall Stress Is Sensitive Marker of Hypertrophic Cardiomyopathy With Preserved Ejection Fraction. Zhao X, Tan RS, Tang HC, Teo SK, Su Y, et al. Front Physiol. 2018;9:250. PubMed PMID: 29643812; PubMed Central PMCID: PMC5882847. Comparison of health state values derived from patients and individuals from the general population. Gandhi M, Tan RS, Ng R, Choo SP, Chia WK, et al. Qual Life Res. 2017 Dec;26(12):3353-3363. PubMed PMID: 28808840. Value of soluble Urokinase plasminogen activator receptor over age as a biomarker of impaired myocardial relaxation. Koh AS, Velmurugan B, Gao F, Tan RS, Wong JI, et al. BMC Geriatr. 2017 Nov 28;17(1):275. PubMed PMID: 29179674; PubMed Central PMCID: PMC5704352. Dual Antithrombotic Therapy with Dabigatran after PCI in Atrial Fibrillation. Cannon CP, Bhatt DL, Oldgren J, Lip GYH, Ellis SG, et al. N Engl J Med. 2017 Oct 19;377(16):1513-1524. PubMed PMID: 28844193. A deep convolutional neural network model to classify heartbeats. Acharya UR, Oh SL, Hagiwara Y, Tan JH, Adam M, et al. Comput Biol Med. 2017 Oct 1;89:389-396. PubMed PMID: 28869899. Stenosis detection and quantification on cardiac CTCA using panoramic MIP of coronary arteries. Chi Y, Huang W, Zhou J, Toe KK, Zhang JM, et al. Conf Proc IEEE Eng Med Biol Soc. 2017 Jul;2017:4191-4194. PubMed PMID: 29060821. Long-Term Prognostic Value of Appropriate Myocardial Perfusion Imaging. Koh AS, Lye WK, Chia SY, Salunat-Flores J, Sim LL, et al. Am J Cardiol. 2017 Jun 15;119(12):1957-1962. PubMed PMID: 28456317. Combined diagnostic performance of coronary computed tomography angiography and computed tomography derived fractional flow reserve for the evaluation of myocardial ischemia: A meta-analysis. Tan XW, Zheng Q, Shi L, Gao F, Allen JC Jr, et al. Int J Cardiol. 2017 Jun 1;236:100-106. PubMed PMID: 28262348. Automated diagnosis of congestive heart failure using dual tree complex wavelet transform and statistical features extracted from 2s of ECG signals. Sudarshan VK, Acharya UR, Oh SL, Adam M, Tan JH, et al. Comput Biol Med. 2017 Apr 1;83:48-58. PubMed PMID: 28231511. HbH Constant Spring disease has lower serum ferritin relative to liver iron concentration (LIC): importance of LIC measurement and potential impact on serum ferritin thresholds for iron chelation. Ang AL, Le TT, Tan RS. Br J Haematol. 2017 Mar;176(6):986-988. PubMed PMID: 26991009. Effects of Sacubitril/Valsartan (LCZ696) on Natriuresis, Diuresis, Blood Pressures, and NT-proBNP in Salt-Sensitive Hypertension. Wang TD, Tan RS, Lee HY, Ihm SH, Rhee MY, et al. Hypertension. 2017 Jan;69(1):32-41. PubMed PMID: 27849566. Computer aided diagnosis of Coronary Artery Disease, Myocardial Infarction and carotid atherosclerosis using ultrasound images: A review. Faust O, Acharya UR, Sudarshan VK, Tan RS, Yeong CH, et al. Phys Med. 2017 Jan;33:1-15. PubMed PMID: 28010920. A Software Tool for Heart AVJ Motion Tracking Using Cine Cardiovascular Magnetic Resonance Images. Xiao P, Zhao X, Leng S, Tan RS, Wong P, et al. IEEE J Transl Eng Health Med. 2017;5:1900412. PubMed PMID: 29018633; PubMed Central PMCID: PMC5630007. Three-Dimensional Tricuspid Annular Motion Analysis from Cardiac Magnetic Resonance Feature-Tracking. Leng S, Jiang M, Zhao XD, Allen JC, Kassab GS, et al. Ann Biomed Eng. 2016 Dec;44(12):3522-3538. PubMed PMID: 27436293. Correcting motion in multiplanar cardiac magnetic resonance images. Biomed Eng Online. Wan M, Huang W, Zhang JM, Zhao X, Allen JC, et al. 2016 Aug 8;15(1):93. PubMed PMID: 27503101; PubMed Central PMCID: PMC4977636. Comparison of the Haemodynamic Parameters of Venous and Arterial Coronary Artery Bypass Conduits. Zhang JM, Chan CJ, Kang N, Soon JL, Sin KY, et al. Ann Acad Med Singapore. 2016 Aug;45(8):369-72. PubMed PMID: 27683743. Fast Marching and Runge-Kutta Based Method for Centreline Extraction of Right Coronary Artery in Human Patients. Cui H, Wang D, Wan M, Zhang JM, Zhao X, et al. Cardiovasc Eng Technol. 2016 Jun;7(2):159-69. PubMed PMID: 27140197. Differential risk reclassification improvement by exercise testing and myocardial perfusion imaging in patients with suspected and known coronary artery disease. Koh AS, Gao F, Chin CT, Keng FY, Tan RS, et al. J Nucl Cardiol. 2016 Jun;23(3):366-78. PubMed PMID: 26358085. Cardiac MRI based numerical modeling of left ventricular fluid dynamics with mitral valve incorporated. Su B, Tan RS, Tan JL, Guo KWQ, Zhang JM, et al. J Biomech. 2016 May 3;49(7):1199-1205. PubMed PMID: 26993615. Validated Risk Score for Predicting 6-Month Mortality in Infective Endocarditis. Park LP, Chu VH, Peterson G, Skoutelis A, Lejko-Zupa T, et al. J Am Heart Assoc. 2016 Apr 18;5(4):e003016. PubMed PMID: 27091179; PubMed Central PMCID: PMC4859286. Cardiovascular magnetic resonance reference ranges for the heart and aorta in Chinese at 3T. Le TT, Tan RS, De Deyn M, Goh EP, Han Y, et al. J Cardiovasc Magn Reson. 2016 Apr 12;18:21. PubMed PMID: 27071974; PubMed Central PMCID: PMC4830061. Data mining framework for identification of myocardial infarction stages in ultrasound: A hybrid feature extraction paradigm (PART 2). Sudarshan VK, Acharya UR, Ng EY, Tan RS, Chou SM, et al. Comput Biol Med. 2016 Apr 1;71:241-51. PubMed PMID: 26897481. An integrated index for automated detection of infarcted myocardium from cross-sectional echocardiograms using texton-based features (Part 1). Sudarshan VK, Acharya UR, Ng EY, Tan RS, Chou SM, et al. Comput Biol Med. 2016 Apr 1;71:231-40. PubMed PMID: 26898671. Prevalence, Presentation, and Outcome of Heart Failure with Preserved Ejection Fraction among Patients Presenting with Undifferentiated Dyspnoea to the Emergency Room: A 10-year Analysis from a Tertiary Centre. Ruan W, Lim SH, Ding ZP, Sim DK, Gao F, et al. Ann Acad Med Singapore. 2016 Jan;45(1):18-26. PubMed PMID: 27118225. Simplified Models of Non-Invasive Fractional Flow Reserve Based on CT Images. Zhang JM, Zhong L, Luo T, Lomarda AM, Huo Y, et al. PLoS One. 2016;11(5):e0153070. PubMed PMID: 27187726; PubMed Central PMCID: PMC4871505. Automated quantitative assessment of cardiovascular magnetic resonance-derived atrioventricular junction velocities. Leng S, Zhao XD, Huang FQ, Wong JI, Su BY, et al. Am J Physiol Heart Circ Physiol. 2015 Dec 1;309(11):H1923-35. PubMed PMID: 26408537. Importance of angina in patients with coronary disease, heart failure, and left ventricular systolic dysfunction: insights from STICH. Jolicœur EM, Dunning A, Castelvecchio S, Dabrowski R, Waclawiw MA, et al. J Am Coll Cardiol. 2015 Nov 10;66(19):2092-2100. PubMed PMID: 26541919; NIHMSID: NIHMS734288; PubMed Central PMCID: PMC4655599. Quantification of coronary artery Stenosis by Area Stenosis from cardiac CT angiography. Jiayin Zhou, Weimin Huang, Yanling Chi, Yuping Duan, Liang Zhong, et al. Conf Proc IEEE Eng Med Biol Soc. 2015 Aug;2015:695-8. PubMed PMID: 26736357. Effect of Sitagliptin on Cardiovascular Outcomes in Type 2 Diabetes. Green JB, Bethel MA, Armstrong PW, Buse JB, Engel SS, et al. N Engl J Med. 2015 Jul 16;373(3):232-42. PubMed PMID: 26052984. Antithrombotic treatment for stroke prevention in atrial fibrillation: The Asian agenda. Chen CH, Chen MC, Gibbs H, Kwon SU, Lo S, et al. Int J Cardiol. 2015 Jul 15;191:244-53. PubMed PMID: 25978611. The electronic stethoscope. Biomed Eng Online. Leng S, Tan RS, Chai KT, Wang C, Ghista D, et al. 2015 Jul 10;14:66. PubMed PMID: 26159433; PubMed Central PMCID: PMC4496820. Computer-aided diagnosis of Myocardial Infarction using ultrasound images with DWT, GLCM and HOS methods: A comparative study. Vidya KS, Ng EY, Acharya UR, Chou SM, Tan RS, et al. Comput Biol Med. 2015 Jul;62:86-93. PubMed PMID: 25912990. Clinical characteristics and outcomes of patients with and without diabetes in the Surgical Treatment for Ischemic Heart Failure (STICH) trial. MacDonald MR, She L, Doenst T, Binkley PF, Rouleau JL, et al. Eur J Heart Fail. 2015 Jul;17(7):725-34. PubMed PMID: 26011509; NIHMSID: NIHMS699666; PubMed Central PMCID: PMC4668269. Regional ejection fraction and regional area strain for left ventricular function assessment in male patients after first-time myocardial infarction. Teo SK, Vos FJ, Tan RS, Zhong L, Su Y. J R Soc Interface. 2015 May 6;12(106)PubMed PMID: 25833249; PubMed Central PMCID: PMC4424703. Regional ejection fraction and regional area strain for left ventricular function assessment in male patients after first-time myocardial infarction. Teo SK, Vos FJ, Tan RS, Zhong L, Su Y. J R Soc Interface. 2015 Apr 6;12(105)PubMed PMID: 25694545; PubMed Central PMCID: PMC4387531. Hemodynamic analysis of patient-specific coronary artery tree. Zhang JM, Luo T, Tan SY, Lomarda AM, Wong AS, et al. Int J Numer Method Biomed Eng. 2015 Apr;31(4):e02708. PubMed PMID: 25630671. Chest Pain, Something is Not Right…Or Left. Ruan W, Wong AS, Tan SY, Tan RS, Chin CT. Ann Acad Med Singapore. 2015 Mar;44(3):114-5. PubMed PMID: 25882240. Impact of early valve surgery on outcome of Staphylococcus aureus prosthetic valve infective endocarditis: analysis in the International Collaboration of Endocarditis-Prospective Cohort Study. Chirouze C, Alla F, Fowler VG Jr, Sexton DJ, Corey GR, et al. Clin Infect Dis. 2015 Mar 1;60(5):741-9. PubMed PMID: 25389255; PubMed Central PMCID: PMC4366581. Left ventricular diastolic function assessment using time differences between mitral annular velocities and transmitral inflow velocities in patients with heart failure. Huang FQ, Tan RS, Sim D, Le TT, Zhong L. Heart Lung Circ. 2015 Mar;24(3):257-63. PubMed PMID: 25445427. One-year outcome following biological or mechanical valve replacement for infective endocarditis. Delahaye F, Chu VH, Altclas J, Barsic B, Delahaye A, et al. Int J Cardiol. 2015 Jan 15;178:117-23. PubMed PMID: 25464234. Integrated allelic, transcriptional, and phenomic dissection of the cardiac effects of titin truncations in health and disease. Roberts AM, Ware JS, Herman DS, Schafer S, Baksi J, et al. Sci Transl Med. 2015 Jan 14;7(270):270ra6. PubMed PMID: 25589632; NIHMSID: NIHMS714330; PubMed Central PMCID: PMC4560092. Novel method for atrioventricular motion assessment from three-dimensional cine magnetic resonance imaging. Leng S, Zhao X, Tan RS, Zhong L. Conf Proc IEEE Eng Med Biol Soc. 2015;2015:319-22. PubMed PMID: 26736264. Computer-based assessment of ventricular mechanical synchrony from magnetic resonance imaging. Zhao X, Shuang L, Tan RS, Zhong L. Conf Proc IEEE Eng Med Biol Soc. 2015;2015:6536-9. PubMed PMID: 26737790. Automatic localization of mitral valve orifice in three-dimensional left cardiac model. Wan M, Zhong L, Zhang JM, Zhao X, Tan RS, et al. Conf Proc IEEE Eng Med Biol Soc. 2015;2015:6540-3. PubMed PMID: 26737791. Variational Reconstruction of Left Cardiac Structure from CMR Images. Wan M, Huang W, Zhang JM, Zhao X, Tan RS, et al. PLoS One. 2015;10(12):e0145570. PubMed PMID: 26689551; PubMed Central PMCID: PMC4699201. Numerical Modeling of Intraventricular Flow during Diastole after Implantation of BMHV. Su B, Kabinejadian F, Phang HQ, Kumar GP, Cui F, et al. PLoS One. 2015;10(5):e0126315. PubMed PMID: 25961285; PubMed Central PMCID: PMC4427484. Automated Identification of Infarcted Myocardium Tissue Characterization Using Ultrasound Images: A Review. Sudarshan V, Acharya UR, Ng EY, Meng CS, Tan RS, et al. IEEE Rev Biomed Eng. 2015;8:86-97. PubMed PMID: 24803322. Single-photon emission computed tomography myocardial perfusion imaging-assessed stress perfusion defect severity is associated with mortality independent of ethnicity in an Asian population. Chin CT, Gao F, Keng FY, Shah BR, Koh AS, et al. J Nucl Cardiol. 2014 Dec;21(6):1148-57. PubMed PMID: 25164138. Assessment of left ventricular preload by cardiac magnetic resonance imaging predicts exercise capacity in adult operated tetralogy of Fallot: a retrospective study. Yap J, Tan JL, Le TT, Gao F, Zhong L, et al. BMC Cardiovasc Disord. 2014 Sep 23;14:122. PubMed PMID: 25245139; PubMed Central PMCID: PMC4177590. Assessment of arterial elastance and ventricular-arterial coupling in patients with systemic lupus erythematosus. Chin CW, Le TT, Gao F, Ng MX, Chin CY, et al. Int J Cardiol. 2014 Sep 20;176(2):504-5. PubMed PMID: 25062562. Endothelial function is associated with myocardial diastolic function in women with systemic lupus erythematosus. Chin CW, Chin CY, Ng MX, Le TT, Huang FQ, et al. Rheumatol Int. 2014 Sep;34(9):1281-5. PubMed PMID: 24549405. Imaging cardiac sarcoidosis by cardiac positron emission tomography (PET): a local experience using a high-fat, low-to-no carbohydrate protocol. Koh AS, Kok TY, Sim DK, Lath N, Tan RS. Ann Acad Med Singapore. 2014 Jul;43(7):383-5. PubMed PMID: 25142475. Rivaroxaban for stroke prevention in East Asian patients from the ROCKET AF trial. Wong KS, Hu DY, Oomman A, Tan RS, Patel MR, et al. Stroke. 2014 Jun;45(6):1739-47. PubMed PMID: 24763930. Perspective on CFD studies of coronary artery disease lesions and hemodynamics: a review. Zhang JM, Zhong L, Su B, Wan M, Yap JS, et al. Int J Numer Method Biomed Eng. 2014 Jun;30(6):659-80. PubMed PMID: 24459034. Numerical simulation of patient-specific left ventricular model with both mitral and aortic valves by FSI approach. Su B, Zhong L, Wang XK, Zhang JM, Tan RS, et al. Comput Methods Programs Biomed. 2014 Feb;113(2):474-82. PubMed PMID: 24332277. Left ventricular regional shape dynamics analysis by three-dimensional cardiac magnetic resonance imaging associated with left ventricular function in first-time myocardial infarction patients. Wan M, Kng TS, Yang X, Zhang JM, Zhao X, et al. Conf Proc IEEE Eng Med Biol Soc. 2014;2014:5113-6. PubMed PMID: 25571143. Characterization and quantification of curvature using independent coordinates method in the human left ventricle by magnetic resonance imaging to identify the morphology subtype of hypertrophy cardiomyopathy. Zhong L, Zhao X, Wan M, Zhang JM, Su BY, et al. Conf Proc IEEE Eng Med Biol Soc. 2014;2014:5619-22. PubMed PMID: 25571269. Left ventricle segmentation by dynamic shape constrained random walks. Yang X, Su Y, Wan M, Yeo SY, Lim C, et al. Conf Proc IEEE Eng Med Biol Soc. 2014;2014:4723-6. PubMed PMID: 25571047. Graph-cuts based reconstructing patient specific right ventricle: first human study. Zhong L, Wan M, Su Y, Teo SK, Lim CW, et al. Conf Proc IEEE Eng Med Biol Soc. 2014;2014:6770-3. PubMed PMID: 25571550. Numerical simulation and clinical implications of stenosis in coronary blood flow. Zhang JM, Zhong L, Luo T, Huo Y, Tan SY, et al. Biomed Res Int. 2014;2014:514729. PubMed PMID: 24987691; PubMed Central PMCID: PMC4058689. Automatic 4D reconstruction of patient-specific cardiac mesh with 1-to-1 vertex correspondence from segmented contours lines. Lim CW, Su Y, Yeo SY, Ng GM, Nguyen VT, et al. PLoS One. 2014;9(4):e93747. PubMed PMID: 24743555; PubMed Central PMCID: PMC3990569. Automatic localization of the left ventricle from cardiac cine magnetic resonance imaging: a new spectrum-based computer-aided tool. Zhong L, Zhang JM, Zhao X, Tan RS, Wan M. PLoS One. 2014;9(4):e92382. PubMed PMID: 24722328; PubMed Central PMCID: PMC3982962. Age and gender-specific changes in left ventricular systolic function in human volunteers. Zhong L, Huang FQ, Tan LK, Allen JC, Ding ZP, et al. Int J Cardiol. 2014;172(1):e102-5. PubMed PMID: 24438932. Enterococcal endocarditis in the beginning of the 21st century: analysis from the International Collaboration on Endocarditis-Prospective Cohort Study. Chirouze C, Athan E, Alla F, Chu VH, Ralph Corey G, et al. Clin Microbiol Infect. 2013 Dec;19(12):1140-7. PubMed PMID: 23517406. High-dose daptomycin therapy for left-sided infective endocarditis: a prospective study from the international collaboration on endocarditis. Carugati M, Bayer AS, Miró JM, Park LP, Guimarães AC, et al. Antimicrob Agents Chemother. 2013 Dec;57(12):6213-22. PubMed PMID: 24080644; PubMed Central PMCID: PMC3837915. Causes of death and influencing factors in patients with atrial fibrillation: a competing-risk analysis from the randomized evaluation of long-term anticoagulant therapy study. Marijon E, Le Heuzey JY, Connolly S, Yang S, Pogue J, et al. Circulation. 2013 Nov 12;128(20):2192-201. PubMed PMID: 24016454. Myocardial contractile dysfunction associated with increased 3-month and 1-year mortality in hospitalized patients with heart failure and preserved ejection fraction. Zhong L, Ng KK, Sim LL, Allen JC, Lau YH, et al. Int J Cardiol. 2013 Oct 3;168(3):1975-83. PubMed PMID: 23336957. In-hospital and 1-year mortality in patients undergoing early surgery for prosthetic valve endocarditis. Lalani T, Chu VH, Park LP, Cecchi E, Corey GR, et al. JAMA Intern Med. 2013 Sep 9;173(16):1495-504. PubMed PMID: 23857547.
International survey of T2* cardiovascular magnetic resonance in β-thalassemia major. Carpenter JP, Roughton M, Pennell DJ. Haematologica. 2013 Sep;98(9):1368-74. PubMed PMID: 23812939; PubMed Central PMCID: PMC3762092. The effects of apixaban on hospitalizations in patients with different types of atrial fibrillation: insights from the AVERROES trial. Hohnloser SH, Shestakovska O, Eikelboom J, Franzosi MG, Tan RS, et al. Eur Heart J. 2013 Sep;34(35):2752-9. PubMed PMID: 23892201. Fragmented QRS complexes predict right ventricular dysfunction and outflow tract aneurysms in patients with repaired tetralogy of Fallot. Shanmugam N, Yap J, Tan RS, Le TT, Gao F, et al. Int J Cardiol. 2013 Aug 20;167(4):1366-72. PubMed PMID: 22521381. The Long-Term Multicenter Observational Study of Dabigatran Treatment in Patients With Atrial Fibrillation (RELY-ABLE) Study. Connolly SJ, Wallentin L, Ezekowitz MD, Eikelboom J, Oldgren J, et al. Circulation. 2013 Jul 16;128(3):237-43. PubMed PMID: 23770747. Effects of stenosis on the porcine left anterior descending arterial tree. Zhong L, Su B, Zhang JM, Huo Y, Leo HL, et al. Conf Proc IEEE Eng Med Biol Soc. 2013;2013:3869-72. PubMed PMID: 24110576. Area stenosis associated with non-invasive fractional flow reserve obtained from coronary CT images. Zhang JM, Luo T, Huo Y, Wan M, Chua T, et al. Conf Proc IEEE Eng Med Biol Soc. 2013;2013:3865-8. PubMed PMID: 24110575. Reconstructing patient-specific cardiac models from contours via Delaunay triangulation and graph-cuts. Wan M, Lim C, Zhang J, Su Y, Yeo SY, et al. Conf Proc IEEE Eng Med Biol Soc. 2013;2013:2976-9. PubMed PMID: 24110352. FSI simulation of intra-ventricular flow in patient-specific ventricular model with both mitral and aortic valves. Zhong L, Su B, Zhang JM, Leo HL, Tan RS. Conf Proc IEEE Eng Med Biol Soc. 2013;2013:703-6. PubMed PMID: 24109784. A geometrical approach for automatic shape restoration of the left ventricle. Tan ML, Su Y, Lim CW, Selvaraj SK, Zhong L, et al. PLoS One. 2013;8(7):e68615. PubMed PMID: 23894325; PubMed Central PMCID: PMC3716701. A geometrical approach for evaluating left ventricular remodeling in myocardial infarct patients. Su Y, Zhong L, Lim CW, Ghista D, Chua T, et al. Comput Methods Programs Biomed. 2012 Nov;108(2):500-10. PubMed PMID: 21507502. Proper use of left atrial ejection force as a measure of left atrial mechanical function. Zhong L, Tan RS, Ghista D. Echocardiography. 2012 Aug;29(7):878-84. PubMed PMID: 22882615. Extent of load-independence of pressure-normalized stress in swine. Jia X, Choy JS, Zhang ZD, Svendsen M, Zhong L, et al. Exp Biol Med (Maywood). 2013 Jul;238(7):821-9. PubMed PMID: 23828596. Analysis of the impact of early surgery on in-hospital mortality of native valve endocarditis: use of propensity score and instrumental variable methods to adjust for treatment-selection bias. Lalani T, Cabell CH, Benjamin DK, Lasca O, Naber C, et al. Circulation. 2010 Mar 2;121(8):1005-13. PubMed PMID: 20159831; NIHMSID: NIHMS451199; PubMed Central PMCID: PMC3597944. International reproducibility of single breathhold T2* MR for cardiac and liver iron assessment among five thalassemia centers. Kirk P, He T, Anderson LJ, Roughton M, Tanner MA, et al. J Magn Reson Imaging. 2010 Aug;32(2):315-9. PubMed PMID: 20677256; NIHMSID: NIHMS207276; PubMed Central PMCID: PMC2946327. Rimonabant for prevention of cardiovascular events (CRESCENDO): a randomised, multicentre, placebo-controlled trial. Topol EJ, Bousser MG, Fox KA, Creager MA, Despres JP, et al. Lancet. 2010 Aug 14;376(9740):517-23. PubMed PMID: 20709233. Revisiting the effect of referral bias on the clinical spectrum of infective endocarditis in adults. Kanafani ZA, Kanj SS, Cabell CH, Cecchi E, de Oliveira Ramos A, et al. Eur J Clin Microbiol Infect Dis. 2010 Oct;29(10):1203-10. PubMed PMID: 20549531. Apixaban in patients with atrial fibrillation. Connolly SJ, Eikelboom J, Joyner C, Diener HC, Hart R, et al. N Engl J Med. 2011 Mar 3;364(9):806-17. PubMed PMID: 21309657. Evaluation of the American College of Cardiology Foundation/American Society of Nuclear Cardiology appropriateness criteria for SPECT myocardial perfusion imaging in an Asian tertiary cardiac center. Koh AS, Flores JL, Keng FY, Tan RS, Chua TS. J Nucl Cardiol. 2011 Apr;18(2):324-30. PubMed PMID: 21107927. Attenuation of stress-based ventricular contractility in patients with heart failure and normal ejection fraction. Zhong L, Poh KK, Lee LC, Le TT, Tan RS. Ann Acad Med Singapore. 2011 Apr;40(4):179-85. PubMed PMID: 21678003. Impact of surgical ventricular restoration on ventricular shape, wall stress, and function in heart failure patients. Zhong L, Su Y, Gobeawan L, Sola S, Tan RS, et al. Am J Physiol Heart Circ Physiol. 2011 May;300(5):H1653-60. PubMed PMID: 21357513; PubMed Central PMCID: PMC3094088. Myocardial viability in ischemic left ventricular dysfunction. Yap J, Tan RS. N Engl J Med. 2011 Aug 4;365(5):472; author reply 472-3. PubMed PMID: 21812691. Rivaroxaban versus warfarin in nonvalvular atrial fibrillation. Patel MR, Mahaffey KW, Garg J, Pan G, Singer DE, et al. N Engl J Med. 2011 Sep 8;365(10):883-91. PubMed PMID: 21830957. Improved aorto-ventricular matching in ischemic dilated cardiomyopathy patients after surgical ventricular restoration. Zhong L, Ghista D, Tan RS. Med Eng Phys. 2011 Nov;33(9):1120-6. PubMed PMID: 21641262. Left ventricular wall stress compendium. Zhong L, Ghista DN, Tan RS. Comput Methods Biomech Biomed Engin. 2012;15(10):1015-41. PubMed PMID: 21547783. Stroke prevention in atrial fibrillation: understanding the new oral anticoagulants dabigatran, rivaroxaban, and apixaban. Ru San T, Chan MY, Wee Siong T, Kok Foo T, Kheng Siang N, et al. Thrombosis. 2012;2012:108983. PubMed PMID: 22997573; PubMed Central PMCID: PMC3444866. Intra-left ventricular flow distributions in diastolic and systolic phases, based on echo velocity flow mapping of normal subjects and heart failure patients, to characterize left ventricular performance outcomes of heart failure. Le T, Tan R, Huang F, Zhong L, Idapalapati S, et al. Journal of Mechanics in Medicine and Biology. 2012; 12(5). Right ventricular regional wall curvedness and area strain in patients with repaired tetralogy of Fallot. Zhong L, Gobeawan L, Su Y, Tan JL, Ghista D, et al. Am J Physiol Heart Circ Physiol. 2012 Mar 15;302(6):H1306-16. PubMed PMID: 22210750; PubMed Central PMCID: PMC3311479. Correlation between clinical outcomes and appropriateness grading for referral to myocardial perfusion imaging for preoperative evaluation prior to non-cardiac surgery. Koh AS, Flores JL, Keng FY, Tan RS, Chua TS. J Nucl Cardiol. 2012 Apr;19(2):277-84. PubMed PMID: 22314553. Rivaroxaban compared with warfarin in patients with atrial fibrillation and previous stroke or transient ischaemic attack: a subgroup analysis of ROCKET AF. Hankey GJ, Patel MR, Stevens SR, Becker RC, Breithardt G, et al. Lancet Neurol. 2012 Apr;11(4):315-22. PubMed PMID: 22402056. Clinical characteristics and outcome of infective endocarditis involving implantable cardiac devices. Athan E, Chu VH, Tattevin P, Selton-Suty C, Jones P, et al. JAMA. 2012 Apr 25;307(16):1727-35. PubMed PMID: 22535857. Rivaroxaban-once daily, oral, direct factor Xa inhibition compared with vitamin K antagonism for prevention of stroke and Embolism Trial in Atrial Fibrillation: rationale and design of the ROCKET AF study. Am Heart J. 2010 Mar;159(3):340-347.e1. PubMed PMID: 20211293. Therapeutic angiogenesis by transplantation of human embryonic stem cell-derived CD133+ endothelial progenitor cells for cardiac repair. Rufaihah AJ, Haider HK, Heng BC, Ye L, Tan RS, et al. Regen Med. 2010 Mar;5(2):231-44. PubMed PMID: 20210583. Health care-associated native valve endocarditis: importance of non-nosocomial acquisition. Benito N, Miró JM, de Lazzari E, Cabell CH, del Río A, et al. Ann Intern Med. 2009 May 5;150(9):586-94. PubMed PMID: 19414837; NIHMSID: NIHMS451194; PubMed Central PMCID: PMC3625649. Reduced valve replacement surgery and complication rate in Staphylococcus aureus endocarditis patients receiving acetyl-salicylic acid. Eisen DP, Corey GR, McBryde ES, Fowler VG Jr, Miro JM, et al. J Infect. 2009 May;58(5):332-8. PubMed PMID: 19342103. HACEK infective endocarditis: characteristics and outcomes from a large, multi-national cohort. Chambers ST, Murdoch D, Morris A, Holland D, Pappas P, et al. PLoS One. 2013;8(5):e63181. PubMed PMID: 23690995; PubMed Central PMCID: PMC3656887. Influence of the timing of cardiac surgery on the outcome of patients with infective endocarditis and stroke. Barsic B, Dickerman S, Krajinovic V, Pappas P, Altclas J, et al. Clin Infect Dis. 2013 Jan;56(2):209-17. PubMed PMID: 23074311. Endothelial function and arterial stiffness assessment as early surrogate markers of vascular risk in patients with systemic lupus erythematosus. Chin CW, Tan RS, Thumboo J. Clin Exp Rheumatol. 2013 Mar-Apr;31(2):295-301. PubMed PMID: 23110754. Dabigatran versus warfarin: effects on ischemic and hemorrhagic strokes and bleeding in Asians and non-Asians with atrial fibrillation. Hori M, Connolly SJ, Zhu J, Liu LS, Lau CP, et al. Stroke. 2013 Jul;44(7):1891-6. PubMed PMID: 23743976. Coagulase-negative staphylococcal prosthetic valve endocarditis--a contemporary update based on the International Collaboration on Endocarditis: prospective cohort study. Chu VH, Miro JM, Hoen B, Cabell CH, Pappas PA, et al. Heart. 2009 Apr;95(7):570-6. PubMed PMID: 18952633. Clinical presentation, etiology, and outcome of infective endocarditis in the 21st century: the International Collaboration on Endocarditis-Prospective Cohort Study. Murdoch DR, Corey GR, Hoen B, Miró JM, Fowler VG Jr, et al. Arch Intern Med. 2009 Mar 9;169(5):463-73. PubMed PMID: 19273776; NIHMSID: NIHMS451197; PubMed Central PMCID: PMC3625651. Left ventricular regional wall curvedness and wall stress in patients with ischemic dilated cardiomyopathy. Zhong L, Su Y, Yeo SY, Tan RS, Ghista DN, et al. Am J Physiol Heart Circ Physiol. 2009 Mar;296(3):H573-84. PubMed PMID: 19122166; PubMed Central PMCID: PMC2660226. Effects of surgical ventricular restoration on left ventricular contractility assessed by a novel contractility index in patients with ischemic cardiomyopathy. Zhong L, Sola S, Tan RS, Le TT, Ghista DN, et al. Am J Cardiol. 2009 Mar 1;103(5):674-9. PubMed PMID: 19231332. A curvature-based approach for left ventricular shape analysis from cardiac magnetic resonance imaging. Yeo SY, Zhong L, Su Y, Tan RS, Ghista DN. Med Biol Eng Comput. 2009 Mar;47(3):313-22. PubMed PMID: 18853215. Myoblast transplantation for cardiac repair: from automyoblast to allomyoblast transplantation. Guo C, Haider HKh, Wang C, Tan RS, Shim WS, et al. Ann Thorac Surg. 2008 Dec;86(6):1841-8. PubMed PMID: 19021990. Current features of infective endocarditis in elderly patients: results of the International Collaboration on Endocarditis Prospective Cohort Study. Durante-Mangoni E, Bradley S, Selton-Suty C, Tripodi MF, Barsic B, et al. Arch Intern Med. 2008 Oct 27;168(19):2095-103. PubMed PMID: 18955638. Candida infective endocarditis. Baddley JW, Benjamin DK Jr, Patel M, Miró J, Athan E, et al. Eur J Clin Microbiol Infect Dis. 2008 Jul;27(7):519-29. PubMed PMID: 18283504; NIHMSID: NIHMS129767; PubMed Central PMCID: PMC2757733. Risk factor profile and treatment patterns of patients with atherothrombosis in Singapore: insight from the REACH Registry. Yeo TC, Chan YH, Low LP, Venketasubramanian N, Lim SC, et al. Ann Acad Med Singapore. 2008 May;37(5):365-71. PubMed PMID: 18536821. Multi-center transferability of a breath-hold T2 technique for myocardial iron assessment. He T, Kirk P, Firmin DN, Lam WM, Chu WC, et al. J Cardiovasc Magn Reson. 2008 Feb 21;10:11. PubMed PMID: 18291040; PubMed Central PMCID: PMC2279115. Leptotrichia endocarditis: report of two cases from the International Collaboration on Endocarditis (ICE) database and review of previous cases. Caram LB, Linefsky JP, Read KM, Murdoch DR, Lalani T, et al. Eur J Clin Microbiol Infect Dis. 2008 Feb;27(2):139-43. PubMed PMID: 17960435. An adult with truncus arteriosus and unilateral pulmonary hypertension. Chiaw TH, San TR, Le TJ. Congenit Heart Dis. 2007 Nov-Dec;2(6):433-7. PubMed PMID: 18377438. Late complications following tetralogy of Fallot repair: the need for long-term follow-up. Ho KW, Tan RS, Wong KY, Tan TH, Shankar S, et al. Ann Acad Med Singapore. 2007 Nov;36(11):947-53. PubMed PMID: 18071607. Myoblast-based cardiac repair: xenomyoblast versus allomyoblast transplantation. Guo C, Haider HKh, Shim WS, Tan RS, Ye L, et al. J Thorac Cardiovasc Surg. 2007 Nov;134(5):1332-9. PubMed PMID: 17976470. Anomalous coronary arteries and sudden death: time for action. Tan RS. Singapore Med J. 2007 Jun;48(6):490-1. PubMed PMID: 17538743. Validation of a novel noninvasive cardiac index of left ventricular contractility in patients. Zhong L, Tan RS, Ghista DN, Ng EY, Chua LP, et al. Am J Physiol Heart Circ Physiol. 2007 Jun;292(6):H2764-72. PubMed PMID: 17237251. Angiopoietin-1 for myocardial angiogenesis: a comparison between delivery strategies. Ye L, Haider HKh, Jiang S, Tan RS, Toh WC, et al. Eur J Heart Fail. 2007 May;9(5):458-65. PubMed PMID: 17188570. Paradoxical orthodeoxia in a patient with a large thoracic aortic aneurysm. Soon JL, Tan RS, Ng DC, Kwek BH, Chua YL. Ann Acad Med Singapore. 2007 Mar;36(3):203-5. PubMed PMID: 17450266. Familial complete congenital absence of the pericardium. Tan RS, Partridge J, Ilsley C, Mohiaddin R. Clin Radiol. 2007 Jan;62(1):85-7. PubMed PMID: 17145270. Regional assessment of left ventricular surface shape from magnetic resonance imaging. Zhong L, Yeo SY, Su Y, Le TT, Tan RS, et al. Conf Proc IEEE Eng Med Biol Soc. 2007;2007:884-7. PubMed PMID: 18002098. Analysis of left ventricular surface deformation during isovolumic contraction. Yeo SY, Zhong L, Su Y, Tan RS, Ghista DN. Conf Proc IEEE Eng Med Biol Soc. 2007;2007:787-90. PubMed PMID: 18002074. Improved angiogenic response in pig heart following ischaemic injury using human skeletal myoblast simultaneously expressing VEGF165 and angiopoietin-1. Ye L, Haider HKh, Jiang S, Tan RS, Ge R, et al. Eur J Heart Fail. 2007 Jan;9(1):15-22. PubMed PMID: 16829190. Explaining left ventricular pressure dynamics in terms of LV passive and active elastances. Zhong L, Ghista DN, Ng EY, Lim ST, Tan RS, et al. Proc Inst Mech Eng H. 2006 Jul;220(5):647-55. PubMed PMID: 16898221. Cardiac inflammatory myofibroblastic tumor as a rare cause of aortic regurgitation: a case report. Su JW, Caleb MG, Tan RS, Low AF, Lim CH. J Thorac Cardiovasc Surg. 2006 Jul;132(1):150-1. PubMed PMID: 16798316. Systolic modeling of the left ventricle as a mechatronic system: determination of myocardial fiber's sarcomere contractile characteristics and new performance indices. Ghista DN, Zhong L, Chua LP, Ng EY, Lim ST, et al. Mol Cell Biomech. 2005 Dec;2(4):217-33. PubMed PMID: 16705867. Abciximab in the treatment of ST-segment elevation myocardial infarction. Tan DS, Sim DK, Chan ES, Tan RS. JAMA. 2005 Oct 12;294(14):1760-1; author reply 1761. PubMed PMID: 16219877. Coronary artery disease: comprehensive evaluation by cardiovascular magnetic resonance imaging. Tan RS, Chen KK. Ann Acad Med Singapore. 2004 Jul;33(4):437-43. PubMed PMID: 15329754. Glagov remodeling of the atherosclerotic aorta demonstrated by cardiovascular magnetic resonance: the CORDA asymptomatic subject plaque assessment research (CASPAR) project. Mohiaddin RH, Burman ED, Prasad SK, Varghese A, Tan RS, et al. J Cardiovasc Magn Reson. 2004;6(2):517-25. PubMed PMID: 15137336. Contrast enhanced magnetic resonance angiography of severe aortic coarctation. Tan RS, Dahdal MT, Mohiaddin RH. Heart. 2002 Feb;87(2):98. PubMed PMID: 11796534; PubMed Central PMCID: PMC1766983. Images in cardiovascular medicine Occult anomalous pulmonary venous drainage: the clinical value of cardiac magnetic resonance imaging. Tan RS, Behr ER, McKenna WJ, Mohiaddin RH. Circulation. 2002 Jan 29;105(4):E27-8. PubMed PMID: 11815442. Cardiovascular applications of magnetic resonance flow measurement. Tan RS, Mohiaddin RH. Rays. 2001 Jan-Mar;26(1):71-91. PubMed PMID: 11471350. Computational Cardiovascular Mechanics: Modeling and Applications in Heart Failure. Zhong L, Tan R, Su Y, Yeo S, Ghista DN, Kassab GS. In: Guccione JM, Kassab GS, Radcliff MB, editors. United States: Springer; 2010. Noninvasive Assessment of Left Ventricular Remodeling: Geometry, Wall Stress and Function; p.179-196. Cardiac perfusion & pumping engineering. Ghista DN, Zhong L, Ng E, Tan R. In: Ghista DN, editor. Singapore: World Scientific Press; 2007. Characterization of cardiac dysfunction during systolic ejection; p.215-228. Cardiac perfusion & pumping engineering. Ghista DN, Zhong L, Tan R, Ng E. In: Ghista DN, editor. Singapore: World Scientific Press; 2007. New clinically-correlated left ventricular contractility indices; p.203-214. Cardiac perfusion & pumping engineering. Ghista DN, Zhong L, Chua L, Tan R. In: Ghista DN, editor. Singapore: World Scientific Press; 2007. Characterizing left ventricular filling performance characteristics; p.191-202. Cardiac perfusion & pumping engineering. Ghista DN, Liu L, Zhong L, Yeo S, Chua L, Tan R, Tan Y. In: Ghista DN, editor. Singapore: World Scientific Press; 2007. Left ventricular pressure increase mechanism during isovolumic contraction, and determination of the equivalent LV myocardial fibers orientation; p.165-190. Cardiac perfusion & pumping engineering. Tan R, Zhong L, Chua T, Ghista DN. In: Ghista DN, editor. Singapore: World Scientific Press; 2007. Quantification of perfusion using nuclear cardiac imaging; p.57-82. Recent advances in cardiac signal processing: an application in data mining. Zhong L, Ng E, Ghista DN, Tan R, Lim S, C T. In: Acharya U, Suri J, Spaan J, Krishnan S, editors. Berlin Heidelberg: Springer; 2007. Assessment of cardiac function in filling & systolic ejection phases: a mathematical and clinical evaluation; p.263-287. Determination of arterial pressure pulse wave propagation velocity and arterial properties. Ghista DN, Zhong L, Ng E, Tan R. In: Acharya U, Suri J, Spaan J, Krishnan S, editors. Berlin Heidelberg: Springer; 2007. Assessment of cardiac function in filling & systolic ejection phases: a mathematical and clinical evaluation; p.303-328. A clinical approach to medicine. Tan R, Johan BA. In: Ong Y, Ng H, Woo K, Tan P, Tang O, editors. Singapore: World Scientific Press; 2005. Hypertension; p.13-27. Ghista DN, Zhong L, Ng E, Tan R. Determination of arterial pressure pulse wave propagation velocity and arterial properties. Acharya U, Suri J, Spaan J, Krishnan S, editors. Berlin Heidelberg: Springer; 2007. Assessment of cardiac function in filling & systolic ejection phases: a mathematical and clinical evaluation; p.303-328.